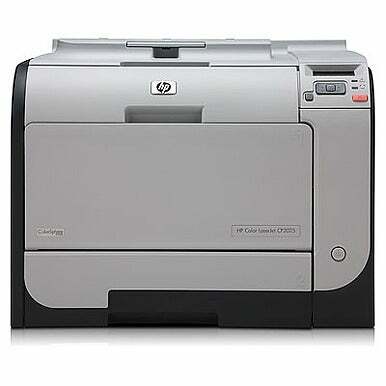 Color laser printers offer great speed and reliability for demanding business, home-office, and small-office users. While they're great for individuals who want their documents in living color, laser printers really shine in network settings that allow multiple users to take advantage of their high speed and duplexing capabilities. How do you weigh those advantages and at the same time balance features and price? Here are some tips on shopping for a color laser printer if you’re in the market for one this holiday season. And we’ve got some recommendations for models that passed muster in our tests. What you are printing: The decision of whether to invest in a color laser printer depends largely on what you intend to print. If you want to print text or graphics on plain paper, you need to print a lot, and you need to print quickly, a color laser is the way to go. If you want a color printer for printing photographs, buy an inkjet printer. There are many good ones on the market, with excellent image quality. Color lasers can print photos of course, but the image quality is distinctly inferior in most cases to inkjet output. Most of the machines we've tested can print perfectly pleasing pie charts, logos, color bars, and simple graphics, but they struggle photographic images. Consider the cost: Most good-quality color laser printers run in the range of $300 and up and are generally larger and heavier than most typical inkjet printers. They're also a bigger investment than standard inkjet or monochrome laser printers and require more room to operate. Many come with longer warranties than typical inkjet printers. However, our recent analysis indicates that the price of a color laser printer is inversely related to its speed: the lower the printer price, the longer you will wait for prints. Maintenance issues: Color printers are more complicated to maintain because they have four toner colors and four drums (one for each color) to replace, as opposed to a monochrome laser's single drum. The spare replacements take up more space in your office's storeroom or home storage closet, too. Two sides are better than one: Printers that offer duplexing can print on both sides of the page—a useful feature for users who want to maximize speed and efficiency. Printing on both sides of a page ultimately saves you money on paper. On a related note, color laser printers generally cost less per page to print than their inkjet counterparts; they’re also more environmentally friendly that way too. What to look for: When considering a color laser printer, there are two key factors to focus on—speed and text quality. Our lab tests include both time trials and jury ratings in addition to our hands-on evaluations. Make sure to judge from all angles when deciding which model to buy. Color laser printers print about 15 to 25 pages of text per minute. As for our jury tests of printing quality—which also include ratings on the quality of image and graphics output—a quality color laser printer scores a rating of “very good” or better in our text-quality test. Ponder PostScript: PostScript capability or emulation is an important ability to consider. PostScript is a print description language that enables color laser printers to handle high-quality graphics alongside text. No longer an absolute necessity, PostScript printing is still important as it takes the load off your computer’s CPU and allows the use of certain types of fonts. Try before you buy: If at all possible, take the time to visit an office supply store to test out the print quality of any color laser printer you are considering. Observe how the printer handles both text and graphics and what the final output looks like. 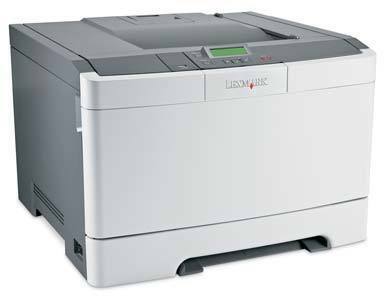 Lexmark’s C544dn ( ) is a compact color laser printer that supports emulated PostScript 3 as well as PCL 6 (Printer Command Lanaguage 6). Aimed at small to mid-sized businesses, this $499 printer can connect via 10/100 Ethernet or USB 2.0. It features paper-saving automatic duplexing for printing two-sided documents and a PictBridge-enabled USB port on the front for printing images from a flash drive or supported digital camera. Read the full review. 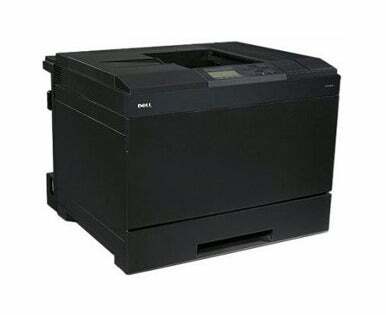 Dell's 5130cdn ( ) color laser printer is a nicely designed workhorse with the speed of a thoroughbred. It has the features that a high-volume office needs, and it's also on target with its nearly perfect print quality. The initial purchase price is high at nearly $1,300, but over the long haul its super-low cost per page will save you money. Overall color quality was very good, with natural colorings and some light graininess, which was more pronounced in grayscale graphics. Read our full review. The HP LaserJet CP2025dn ( ) is a sub-$500 compact color laser printer that prints double-sided documents and connects via USB 2.0 or over a network with its built-in 10/100 Ethernet. Fast print times are welcome, but only if the printed output is of good quality. This 600 dpi printer had no problems achieving glowing ratings from our panel of editors, who deemed its quality Very Good for both images and graphics and fine lines. Its text quality earned a Superior rating. Read the full review. The Brother HL-4570CDW ( ) color laser printer is a good value. Its $500 price tag is budget-friendly for small and medium-size workgroups, as are its reasonable toner costs. Its speed and features are competitive with those of pricier printers. The text output of the HL-4570CDW is superb, appearing sharp and deep black, with nary a jaggy or other defect. The HL-4570CDW falls a little short in photo quality; so it's best suited for mainstream business graphics. Read our full review. If you want a personal or small-office color laser printer that performs well, is easy to use, and won't take up much space, the $299 Xerox Phaser 6010 ( ) certainly belongs on your short list. Outside of some slight banding in color graphics, the output quality of the Phaser 6010 was impressive. Colors looked slightly cool and dark, but still very natural, and details were precise. Text was sharp, black, and smooth. Its simplicity, good performance, and output quality are compelling. Relatively expensive toner and the lack of automatic duplexing are disappointing. Read our full review.